As a newly established company, trying to promote this relatively unknown technology to the UK market and influence people and organisations to use more sustainable transport is an uphill task. The company’s next step is to carry out a pilot study in the UK to gather insight on the financial, environmental and health benefits for non-cyclists transitioning to cycling on the road. 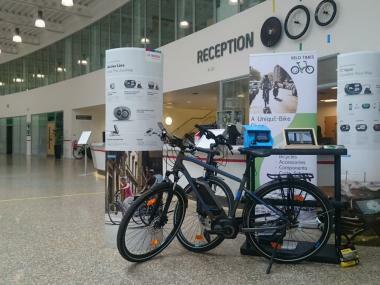 Tom Bardwell, low carbon sector advisor at the Hub, said: “Velo Times are a young but experienced and enthusiastic company. Sarah and Arek are both committed not just to making the business a success, but having an impact on improving the sustainability of transport in Greater Manchester. To find out more about the Hub’s low carbon sector support for Greater Manchester SMEs, or to read other success stories, click here.